A mere 45 miles north of Big Sky, you will find Bozeman, MT, a thriving college community with activities and adventures for all ages. 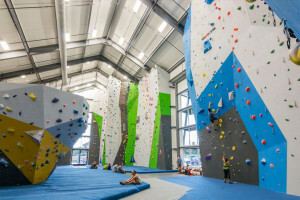 One of the best, most well-designed indoor climbing gyms anywhere. Walls up to 50' high, no appointments needed - just walk-in. All ages welcome. Only 45 miles separates Bozeman, MT from Big Sky, MT. Bozeman is the fifth largest city in the State of Montana. There are frequent shuttle runs between Gallatin Airport in Bozeman and Big Sky. 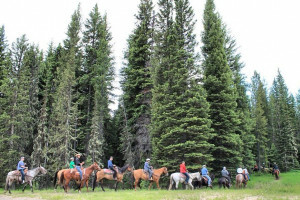 You can find a wide variety of outdoor recreational opportunities in the Bozeman area. Close to Yellowstone National Park to the south and with the Gallatin Mountains in Bozeman's backyard, there is no lack of opportunities for exploring the outdoors. 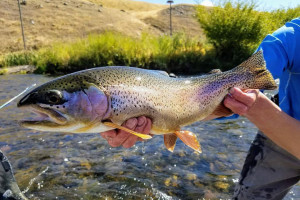 For outdoor enthusiasts Bozeman, MT acts as a port to trails through mountains and valleys, favorite fishing spots on various rivers and streams, two world famous ski resorts, and wildlife habitats and viewing areas. Bozeman has always been a center for agriculture but invites more and more tourists because of its beautiful location and surroundings. A historical walking tour, art galleries, the symphony, theatres and diverse restaurants fill downtown Bozeman luring tourists in need of entertainment. 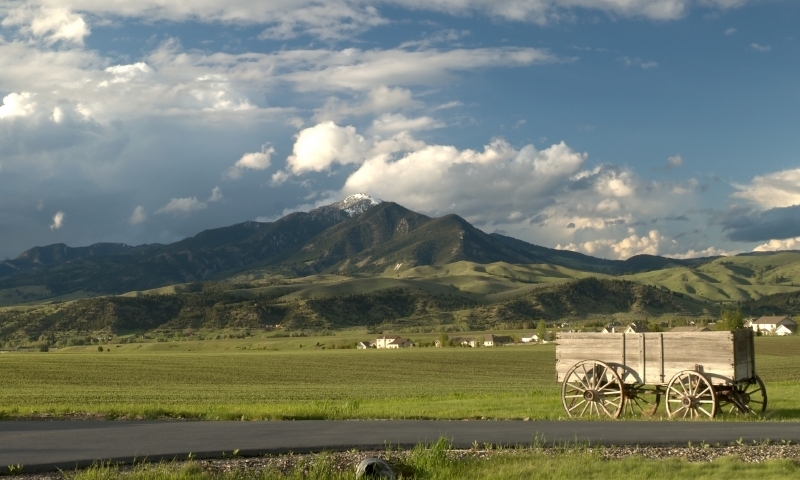 Bozeman is the principle city of Gallatin County Montana and can be found in the south central portion of the state. With a population approaching 35, 000, Bozeman is the fifth largest city in the State of Montana. Its close proximity to Yellowstone National Park and the Gallatin Mountains draws thousands of tourists every year. The city caters to the tourist industry by having a wide choice of lodging entities and places to eat. In addition, downtown Bozeman boasts cultural events including an historical walking tour, art galleries, concerts, theatres, the symphony and museums. Bozeman is home to Montana State University, founded in 1893, which brings the city a younger population seeking education in fields like agriculture, engineering, and film. The university provides the city with varied nightlife, sporting events, and culture. Gallatin Field Airport in Bozeman services all southwestern Montana with frequent flights to Butte, Denver, Seattle, Salt Lake City, and Minneapolis. There are also frequent shuttles to and from Big Sky. The choice of both indoor and outdoor activities in the Bozeman area is vast. You can stay in town and enjoy concerts, the symphony, Farmers’ Markets, strolling through art galleries, exploring the historic portions of town, or making use of the many recreational municipal parks and facilities. Depending on the season, you can find a wide variety of outdoor recreational opportunities. Bridger Bowl is a relatively unspoiled ski resort offering trails for the experienced and amateur skier. The natural terrain is filled with snow-covered glades, bowls and slopes for premium Bozeman skiing. The Park encompasses over four acres of land around Glen Lake and features a small beach that offers great fishing, as well as several trails for hiking. The Gallatin National Forest is situated in a spectacular section of the great outdoors. This National Forest leads into a section of Yellowstone Park and it is a haven for kayak enthusiasts, rafters, campers and outdoorsmen. With almost 35,000 acres of scenic beauty, this canyon is one of the area's favorite outdoor retreats. Hyalite Canyon is home to some of the best camping, bike riding, and backpacking in the Bozeman area. The canyon also houses several picturesque areas like Palisades Falls. This State Park features amazing underground caverns that were discovered in 1840, showcasing some of the most brilliant stalagmites in the northwest. This Park serves to commemorate the area where Bannock and Northern Shoshone Indians masterminded buffalo stampedes during massive hunts. The cliffs here are now an excavation site. One of the easiest ways to access Big Sky is to fly into the Bozeman Airport, and take advantage of the shuttles that run several daily trips between the airport and Big Sky. If you are driving, simply take US Highway 191 south from Bozeman, travel approximately 45 miles, and follow the signs. The drive is scenic and makes getting to Big Sky as much as being there.